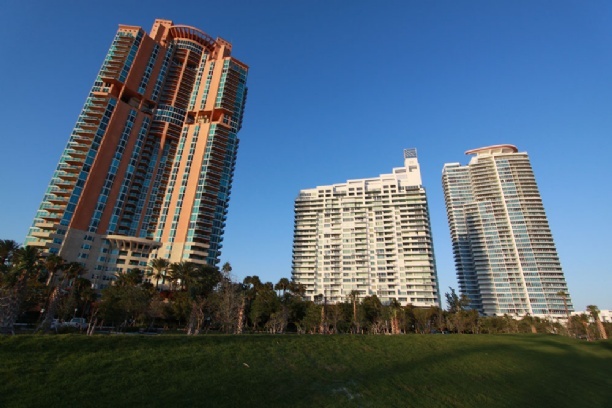 Standing at ground level and observing Portofino Tower is an experience in and of itself. 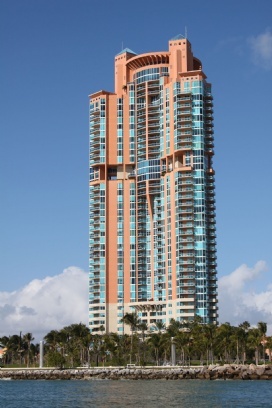 The 44-story building offers a spectacle of grandiose and style. Its light blue mixed in with choral color designs blends in beautifully with Miami Beach’s tropical environment. The condo building uses curvaceous and angular designs to optimize space, provide a diversity of floor plans and create a stylish aesthetic appeal. 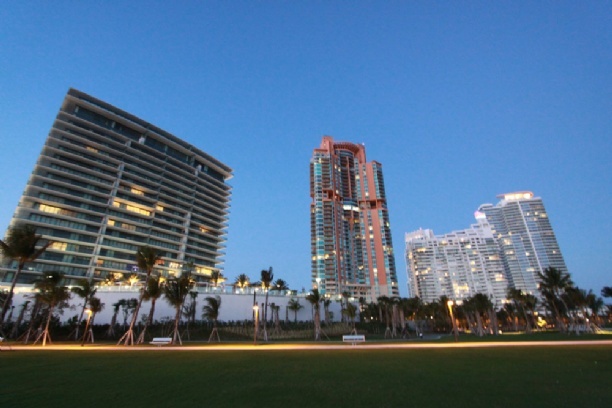 A unique quality of Portofino Tower is its amazing “South of Fifth” location, which is a luxury community south of Fifth Street in Miami Beach. 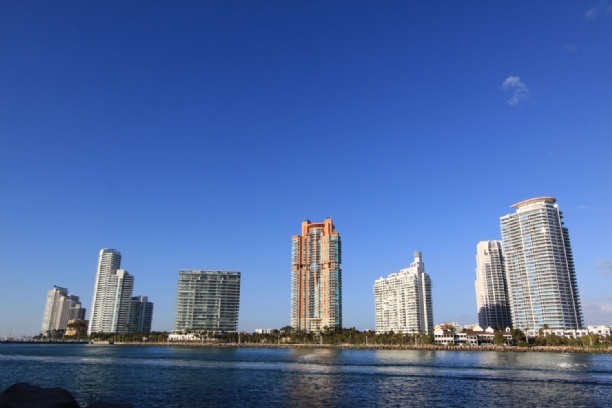 While South Beach condos themselves are considered higher than average in terms of quality, “South of Fifth” condos are considered the pinnacle of South Beach luxury condos. This condo emphasizes quality residential features and includes double door entryways, nine-foot ceilings, spacious outdoor terraces, floor-to-ceiling windows, brand new kitchen appliances, European designed kitchen cabinetry, Kohler brand water closets, Jacuzzi bathtubs, marble bathroom floors and large walk-in closets. 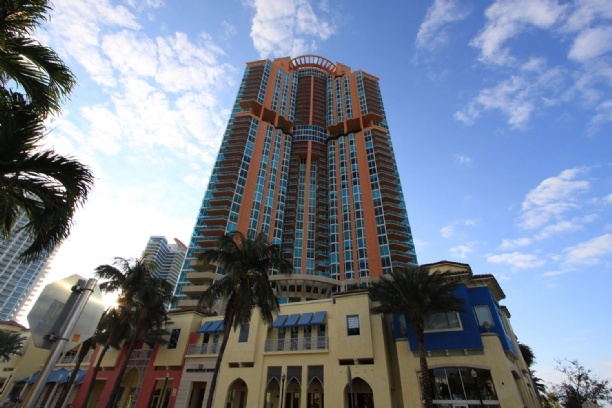 Amenities for Portofino Tower are four-story lobby, 24-hour security, parking garage, concierge services, swimming pools, sauna, steam room, fitness center, tennis courts, spa, theater, billiards room and individual storage spaces. 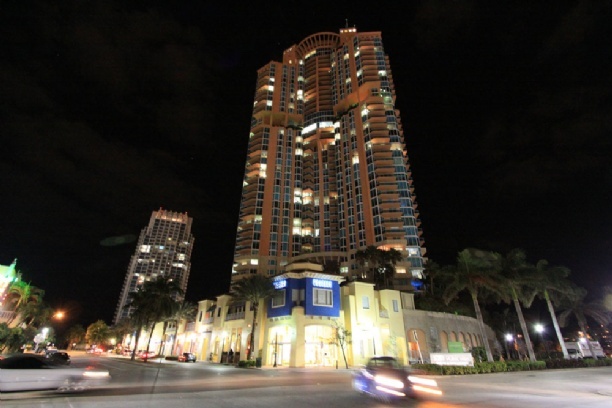 As for Portofino Tower’s South Beach location itself, South Beach encompasses a small portion of Miami Beach but remains among South Florida’s most frequented, most photographed and most widely recognized area. 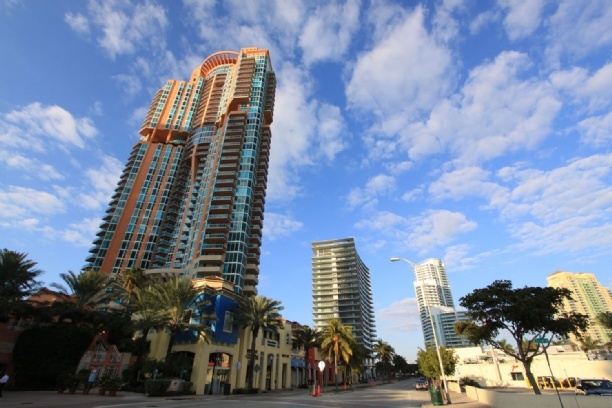 Around Portofino Tower there is a fascinating mix of eclectic culture, contemporary lifestyle and South Florida’s own penchant for providing a sunny lifestyle have made South Beach a top favorite among locals, tourists and Portofion Tower residents.